Of course, it’s easy-peasy to set up an Easter egg hunt in your own garden (or indoors if it’s cold and wet!) but if you fancy a bit more of a full-on even, take a look at the National Trust Easter Egg Hunts find your nearest one here, they run up to the 28th April. If you’re creating your own, try to get some breakfast organised first, if you want to at least try and attempt to stave off the inevitable sugar rush from morning chocolate consumption! 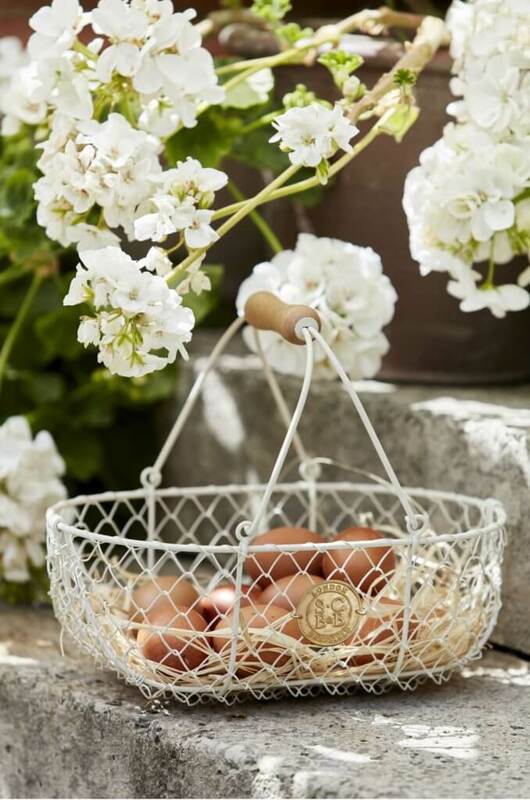 This pretty Harvesting Basket in Buttermilk from Annabel James is perfect for egg-hunters – and it will look fabulous on the kitchen work surface too afterwards. The Icing on the Biscuit! Ok, hands up, I totally admit that my biscuit-icing skills are next to non-existent! 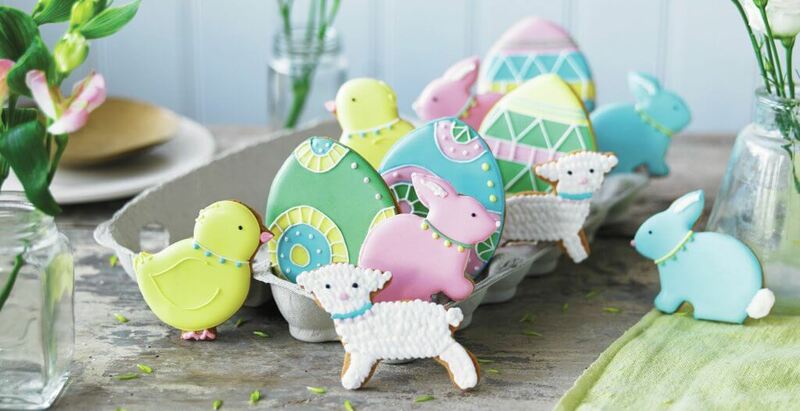 So it’s lucky that the Biscuiteers can supply beautiful, jewel-like iced biscuits which are perfect for Easter presents and celebrations – and they are a thoughtful alternative to chocolate eggs! On the other hand, getting creative with the children and making your own Easter biscuits could be a fun pre-Easter activity. A nice and easy child-friendly recipe for Jamie Oliver’s Lemon Butter Biscuits could do the job, perhaps just with a little dab of white icing and some lemon zest. If you’re likely to have friends and relatives call in through the Easter period (not just to inspect your new Anwyl home!) 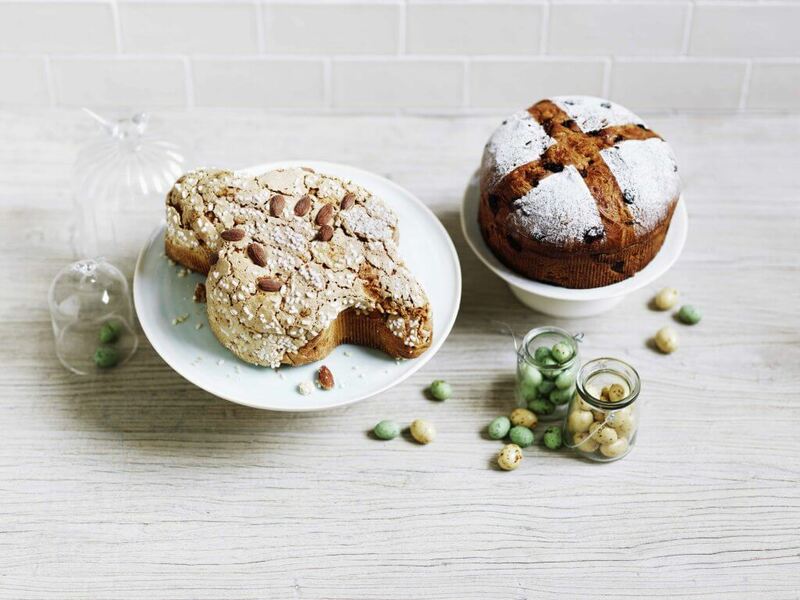 it’s nice to have some treats on hand to offer … Waitrose is my go-to destination for celebratory cakes, try the Easter Spiced Panettone and the delicious Easter Colomba Cake, in the shape of a white dove. Maybe phone ahead to check availability and ordering details. If the weather is nice, the holiday could potentially accommodate a little bit of a party! 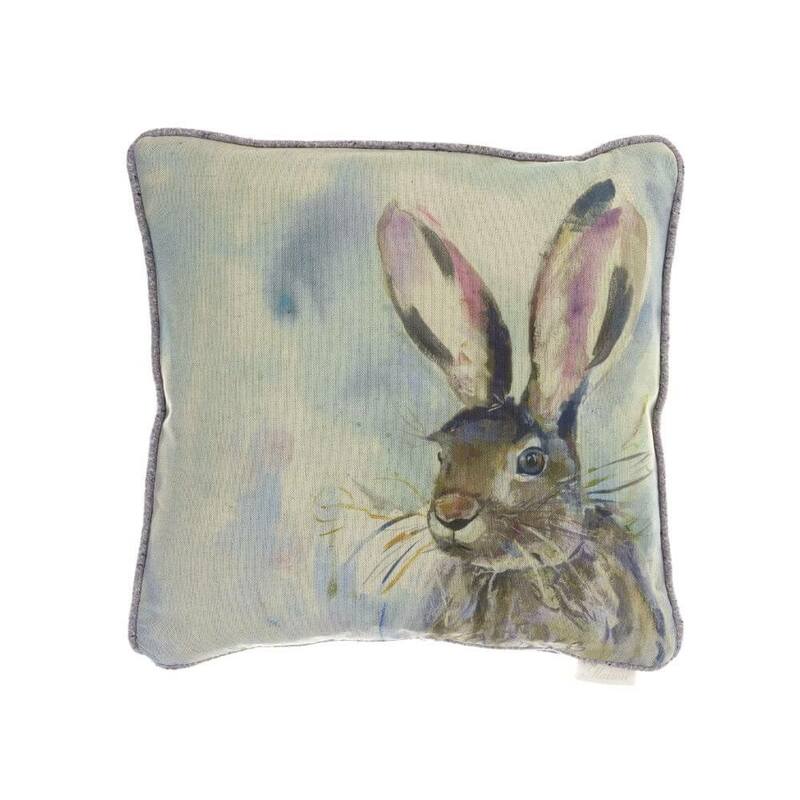 Decorations can be easily rustled up, tableware and accessories are all available from Dunelm, even including Easter Bunny cushions. 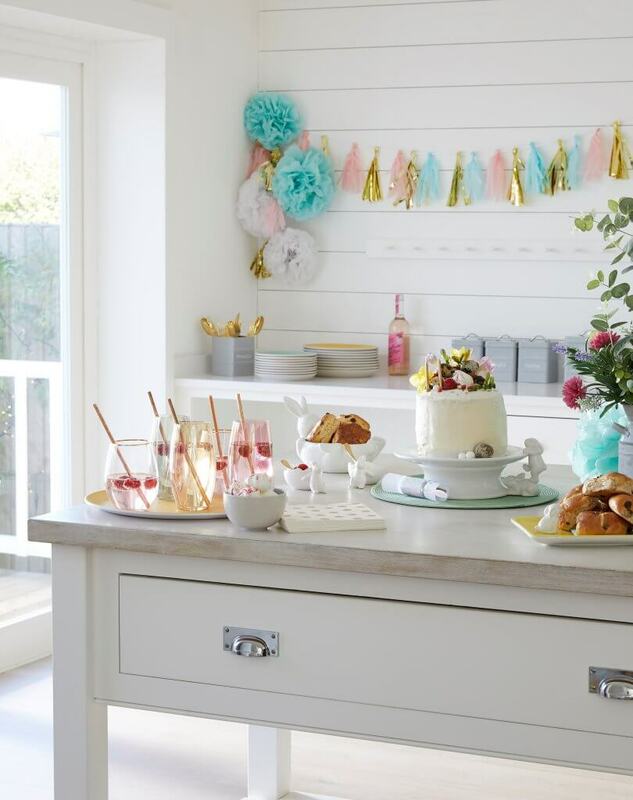 Choose yellow, pink, blue and gold accessories for a pretty Easter look … and keep an out for the Bunny bowls, salt and pepper shakers and egg cups. 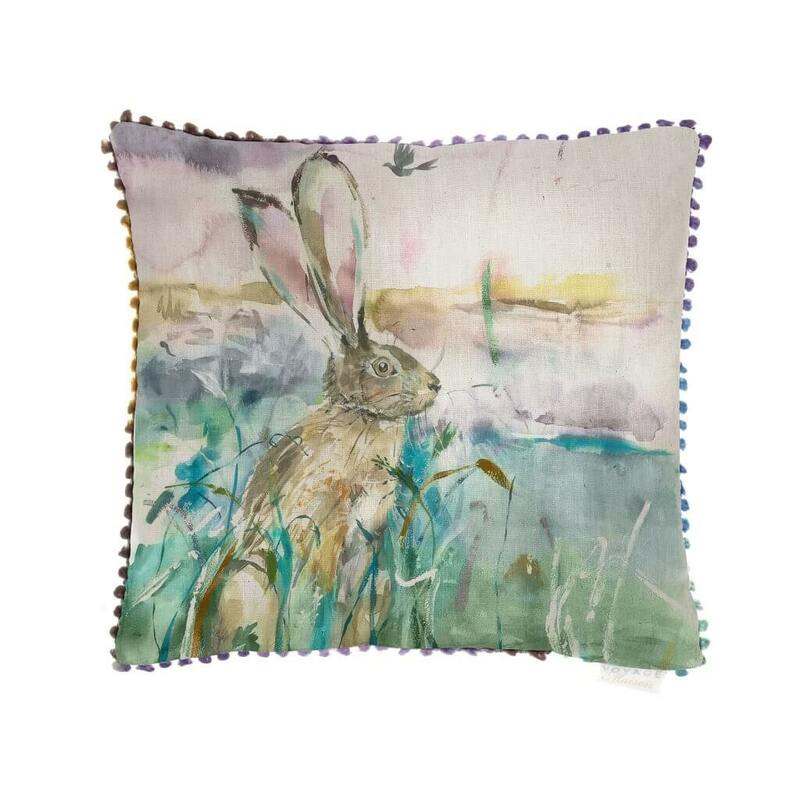 We can’t resist these cushions, left and right, from the Voyage Maison Collection, available from Bridgman and available by mail order, with other floral, spring-like designs available too. So you don’t have to go trekking out to the shops to get some seasonal influences in your home. 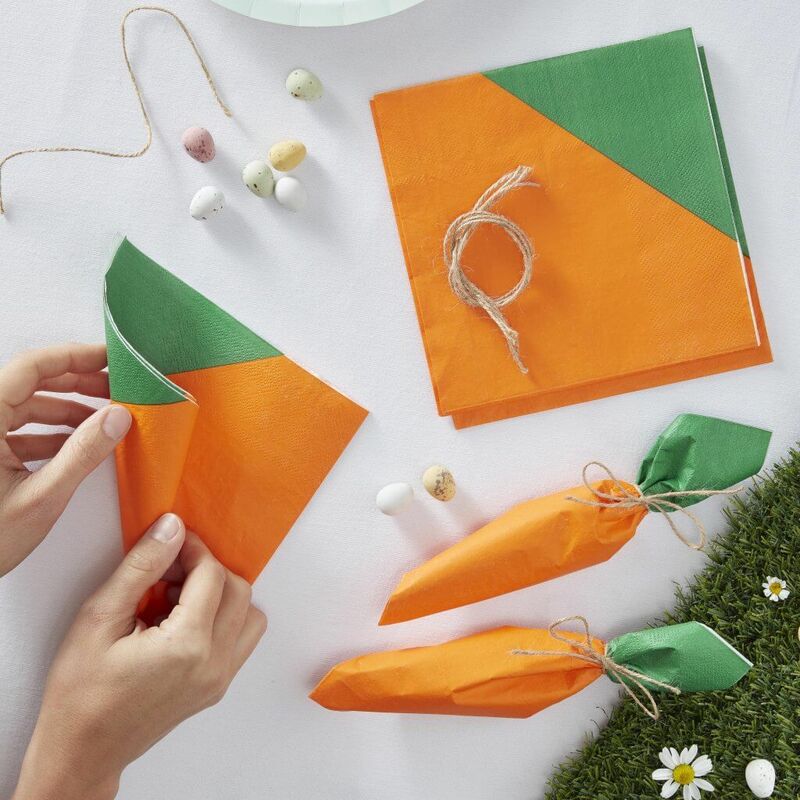 And centre, we’d like to introduce you to the Carrot napkins available from Ginger Ray, simple enough to make and get the kids involved – perhaps string them around the house as little garlands! Hoppy Easter! 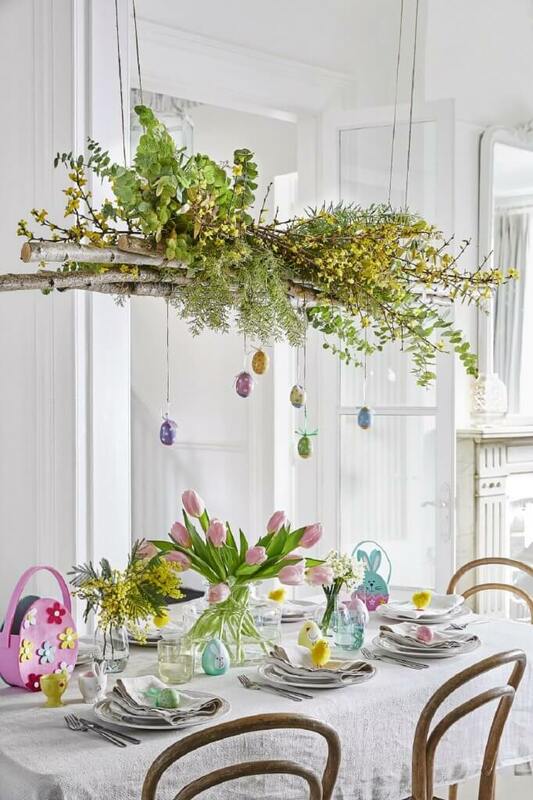 It seems that Easter is fast catching up with Christmas as far as decorative and seasonal ideas go, we love these pretty decs by Gisela Graham, click on the link to find your nearest stockist, there are hundreds throughout the UK. 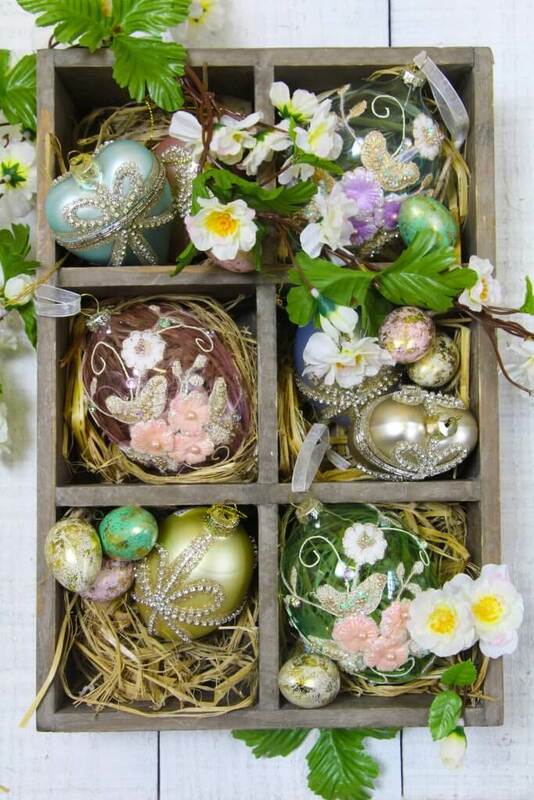 These are just a selection, but rather inspiring we think, beautiful enough to give as Easter keep-sakes, and personally, I’m thinking of getting the glue gun out and re-vamping some of my old Xmas decs as well! 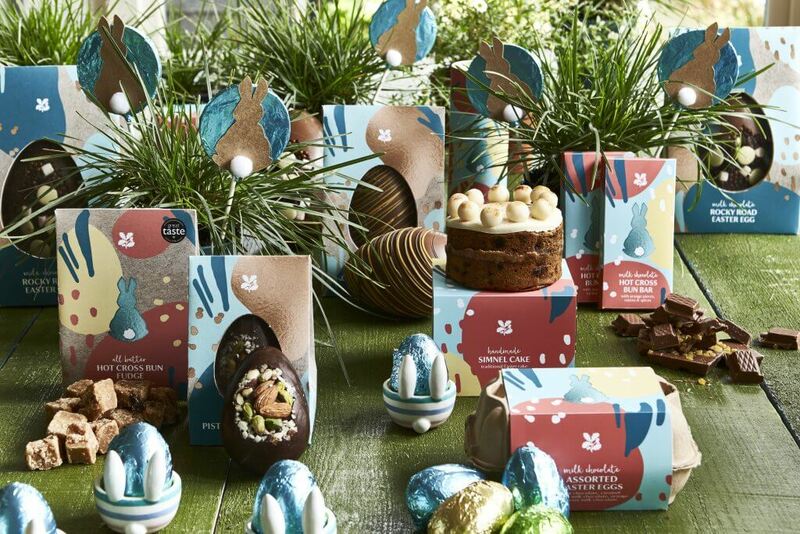 As if anyone needed another excuse to have a look at what’s going on at Easter at the National Trust, here’s another reason … you can purchase chocolates and goodies too! Such as Hot Cross Bun Fudge, which quite frankly, I would probably walk across hot coals for!! Shop here.